Suffering from Constant Neck Pains or Shoulder Aches? If you're suffering from constant neck pains or shoulder aches, your condition might be more serious than you think. Despite getting a soothing massage, or even basic chiropractic treatment, sometimes neck and shoulder pain never fully goes away. This is because most treatments focus on the site of the pain instead of the root cause: loss of the natural neck curve. Your neck (cervical spine) is made up of vertebrae that extend from the upper torso to the skull. When your spine is correctly aligned, your neck should show a backwards c-shaped curve known as cervical lordosis. The curve allows the weight of your head to rest on top of the neck without causing excessive stress in the discs and vertebrae supporting it. It also means your head can move freely without putting unnecessary strain on the muscles in your neck and shoulders. If any abnormalities, inflammation, or injury occurs, this will likely cause neck pain or stiffness in the neck. Fortunately, the spinal curvature in the neck can be restored in almost all cases. At Precision Spine, we use a specialised treatment program called The Neck Solution. The Neck Solution is designed to address your neck pain at the root cause. Instead of just giving you a massage or regular chiropractic care, we use advanced and highly specialised techniques to restore the natural curve and function of the neck and bring a halt to the progressive destruction and pain caused by poor neck alignment. 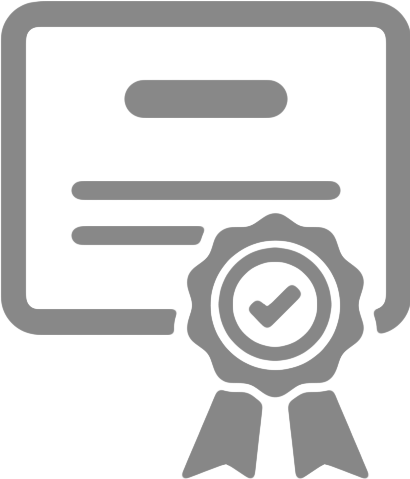 We base our diagnoses on detailed X-rays, which ensures your treatment plan will precisely target your particular misalignment. This detailed approach means our results are reliable and long lasting. The loss of curvature arises when you repeatedly disrupt this delicate balance between the muscles, ligaments and tendons. This frequently happens due to poor posture, as well as normal wear and tear, or overuse. The neck is particularly vulnerable to injury, such as falls, car accidents, and sports, where the muscles and ligaments of the neck are used outside their normal function. If the neck is dislocated or fractured, it is important to note that the spinal cord may also be damaged. For every inch of Forward Head Posture, it can increase the weight of the head on the spine by 10 pounds (4.5kgs). One of the most common ways neck problems occur is from spending hours, day in and day out, looking at a computer screen with “forward head posture.” Most working professionals have to use a computer in their day-to-day lives, but few seem to realize that looking at a misaligned computer screen is slowly causing the curve in the neck to actually reverse. In fact, according to a study in Hong Kong, more than ⅓ of the office workers have a postural issue that makes them susceptible to neck pains and shoulder aches. 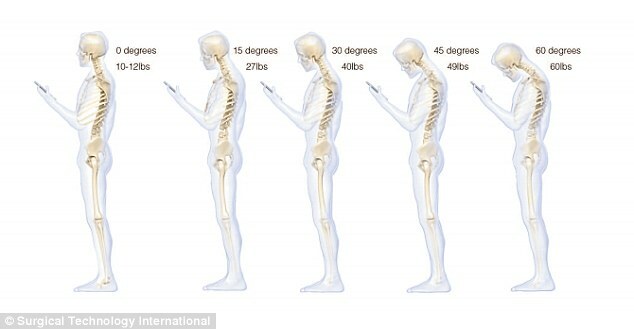 What makes this more troublesome is that we’re seeing forward head postures and loss of curvature in younger and younger children, primarily due to poor postural alignment while they’re studying or by looking down at their mobile phones. Forward head posture and loss of lordosis can lead to pain and long-term damage. The poor alignment causes a dramatic increase of load on the neck, making the stress 2 or 3 times greater than normal. Think about this: on average your head weighs about the same as a bowling ball – imagine carrying two more of those on top of your head! This additional weight increases the gravitational load on the supportive bones, joints and discs because the center of gravity of the head has shifted more towards the cervical spine. It also puts an increased demand on the muscles to hold the head upright. The significant effects can be observed in the X-rays below – decreased height of the discs and bone spurs, with some cases even showing calcification in tendons in the neck. As you can imagine, it doesn’t take long for that kind of strain to have a negative effect, causing muscle pain and intense headaches. In fact, loss of cervical lordosis is responsible for nearly all neck and shoulder pain. Left to get worse over the years, tense muscles and neck pains will eventually cause decreased disc height. Some of these even cause bone spurs and even calcification in the neck tendons, causing cervical spondylosis (arthritis in your neck bones). If treatment is not pursued, the segments in the neck can fuse, causing inflammation in the spine, and shooting pains in the neck and shoulders.